The Porto School of Engineering (ISEP), Portugal, hosted the workshop "Sea technologies: Skills and competences from surface to deep sea" on the 18th May 2018. 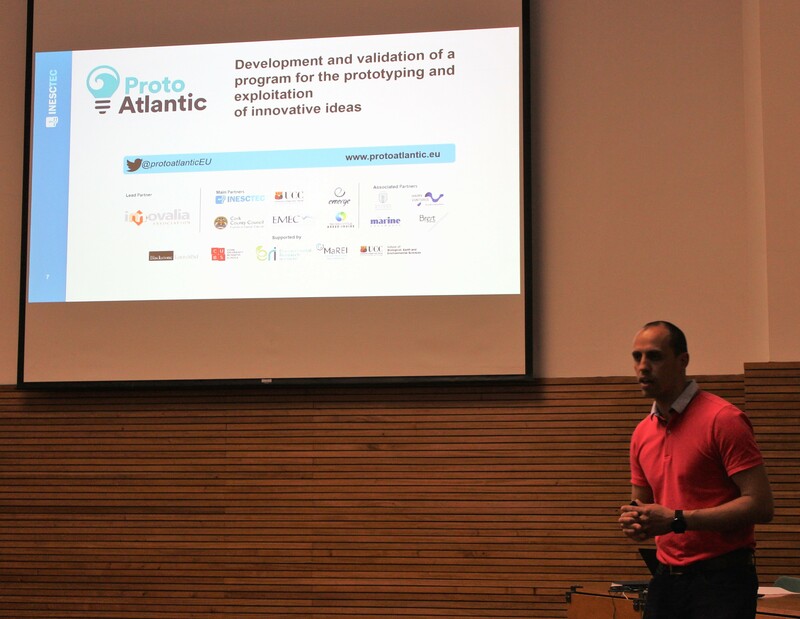 The workshop was organised under the EU-funded Interreg ProtoAtlantic project, and aimed to present ProtoAtlantic's objectives and latest achievements. Representatives from project partner INESC TEC provided an overview of the project, and the workshop aimed to foster community development amongst stakeholders, and to give aspiring entrepreneurs, postgraduate students, and researchers a platform for developing their ideas and networking with experts and innovators in the marine field.